Do you love chicken salad? I do, but sometimes I feel like it can be boring and a bit overdone. This Pesto Chicken Salad is anything but boring! Try out this fresh new twist on a classic spread. It is sure to spice up your lunch or party tray! 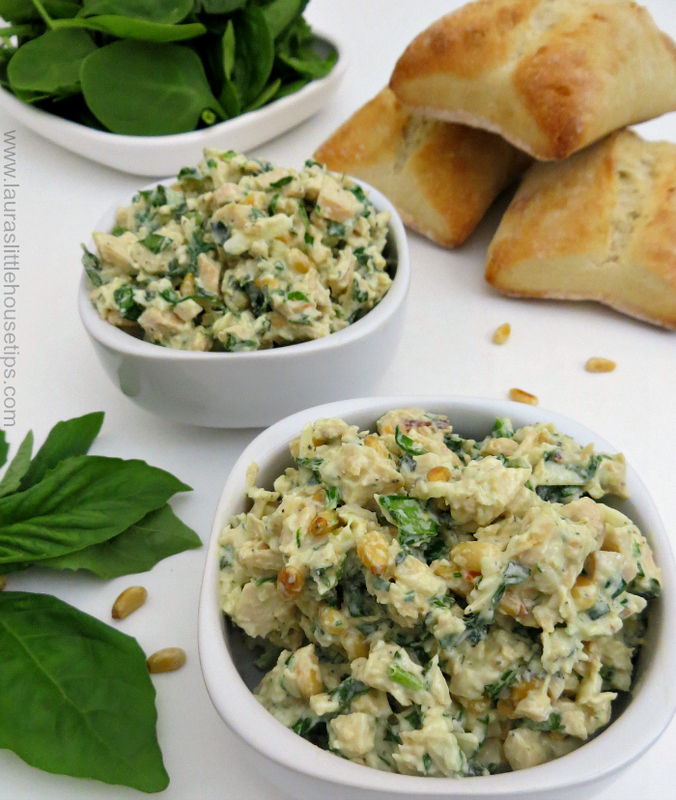 The spinach and basil add a delicious freshness to the dish and the pine nuts give it a great additional texture along with their great toasted flavors. When it all comes together with the deliciousness of the Parmesan cheese…Wow! 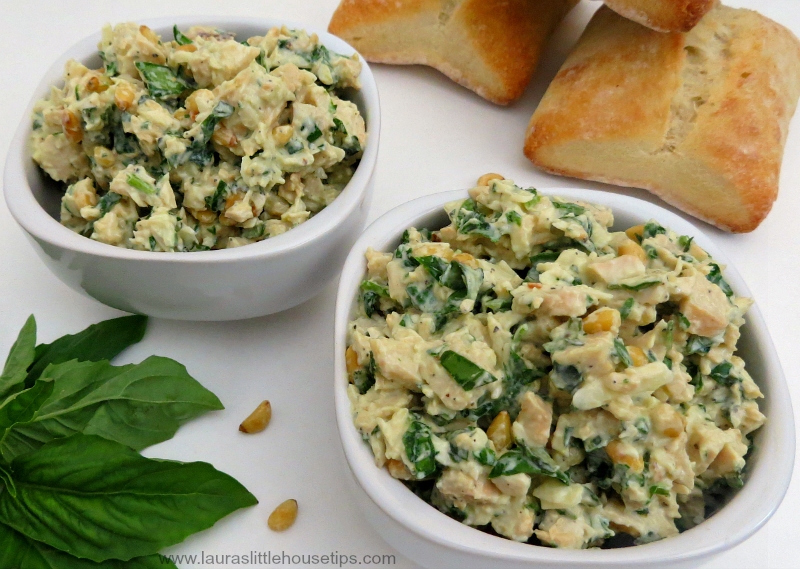 If you are a pesto fan, or a chicken salad fan, then this dish is a must try. It was fantastic on the ciabatta bread but would also be fabulous in a lettuce wrap or as a dip with some crackers or toasted pita. 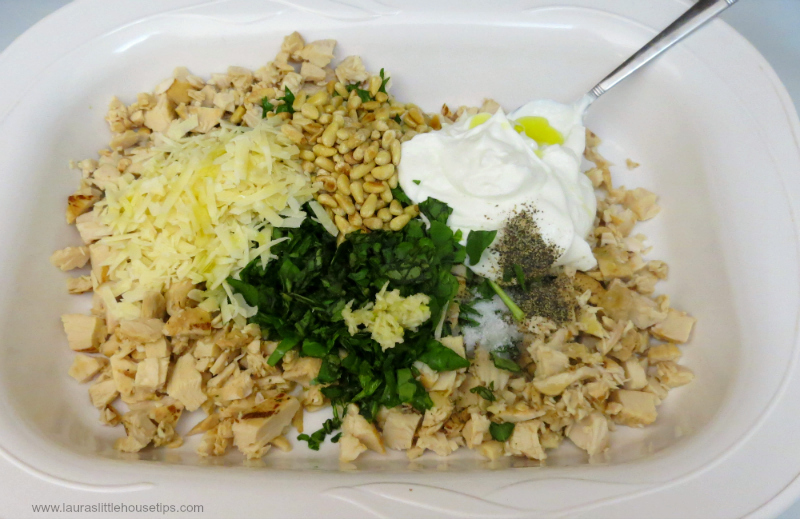 How did you like this Pesto Chicken Salad? Did you give it a try? Do you have any favorite chicken salad recipes? I have to tell you this was such a hit in my house that I make it about once a week now. I adore it on crackers. 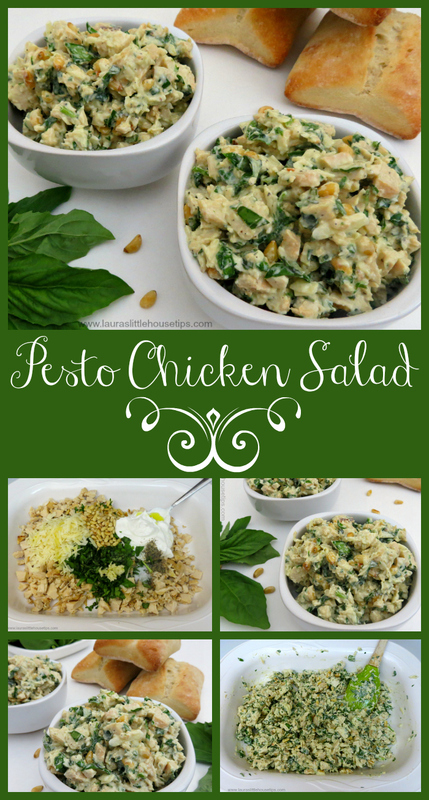 I love chicken salad and pesto, this is definitely a must try for me! Love how the freshness of the spinach and basil helps brighten and lighten the whole dish. I can’t wait to try this! Oh I love the addition of pine nuts, pesto and yogurt! Yum, I can hardly wait to try this version. Thanks for sharing! This is one of those addicting recipes. I find myself making over and over again. Thank you so much Susan 🙂 Glad your here. Yum! Is right. It’s so addicting. I make it about once a week now. I love it and so good on crackers too. Thank you for stopping by. I’m glad your here. This looks amazing! 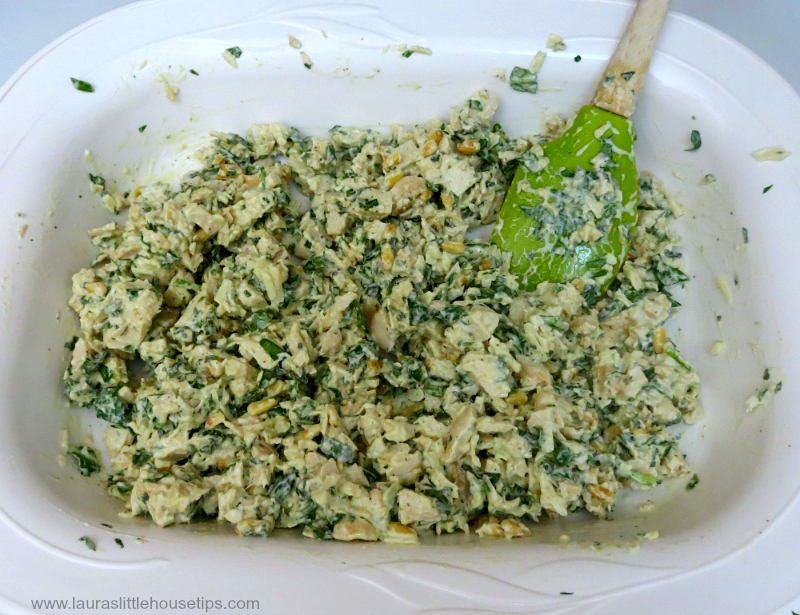 I love pesto and the idea of changing up the standard chicken salad. Yum! Vickie @Vickie’s Kitchen and Garden recently posted…Free Kindle Books for 11/5/15 Plus Amazon’s Deal of the Day! Yum! I love chicken salad and this recipe looks delicious! Thanks for sharing with us at the Merry Monday link party. I hope you’ll join us again next week. 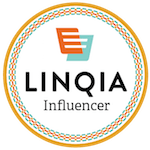 Sharing your post on Twitter! Mmmmm – looks good. I’m a huge fan of pesto and chicken salads. Trying this Salad right now and it’s delish! Healthy, creamy, yummy!